Hello, everyone, and welcome to the first of two features to be released during Big Boss Battle’s Festival of Tabletop Gaming. In this piece, we’ll explore some of the games that have made the leap from the bits and bytes of the digital realm to the paper, wood and plastic of the dining-room table. 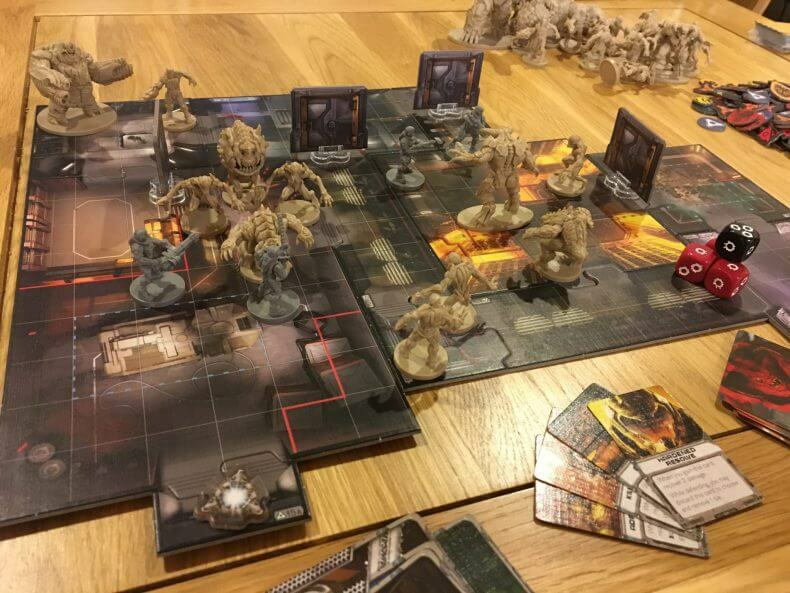 These games come in all weights and levels of complexity, so if you’re brand new to tabletop gaming, you may wish to explore some of the ‘gateway’ games we’ll discuss in our second feature this week, which is all about accessibility. DOOM (2016) — A moderately complex corridor shooter that really conjures up the feeling of the modern DOOM video game. Glory kills and ridiculous combos are the order of the day, although it’s a shame that one player must always act as the bad guy. Star Wars: Imperial Assault — Imperial Assault is built on the same foundations as DOOM, but the battles are highly evocative of the Star Wars: Battlefront games. Imperial Assault already has multiple expansions available for it (including large vehicles, monsters and more) so you’ll never run out of content here. Fallout — Whilst Fallout isn’t the most innovative nor exciting of board games, it does make for a reasonably authentic recreation of the video-game experience, with characters and stories inspired by Fallout 4 in particular. A game for one to five players, Fallout is a boxed adventure game which plays in around two hours. Axis and Allies: Anniversary Edition — A long but relatively straightforward wargame that perfectly captures WWII on a grand scale, encompassing all six of the major powers on both the Allied and Axis sides. 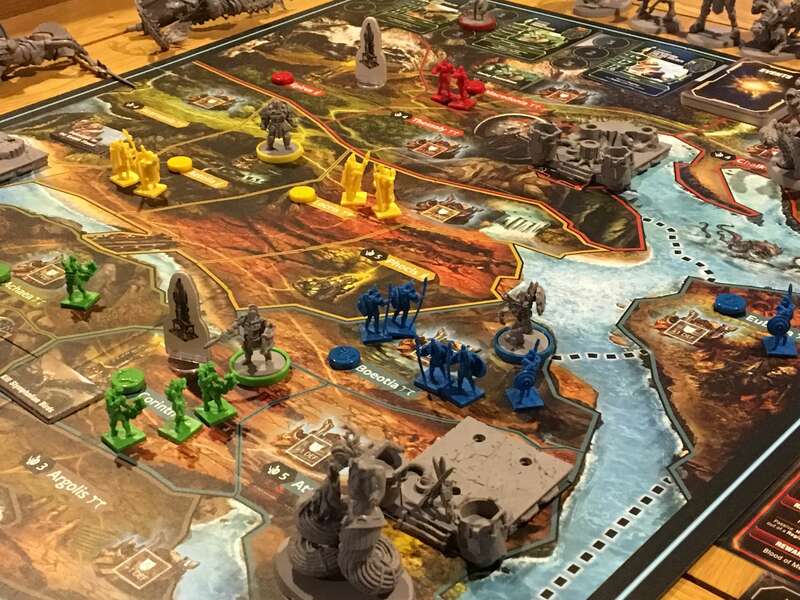 Lords of Hellas — A hugely versatile solo or multiplayer game that brims with incredible cards, boards, miniatures and more — not to mention straightforward play mechanics that make the game accessible to almost anyone. Quadropolis — For anyone who has played a Sim City game, Quadropolis will be immediately familiar. Unlike in video games, however, this tabletop experience has to be over and done with in a couple of hours, so maximising population and avoiding waste are just a couple of the key things you’ll need to think about. Viticulture — Board games and wine go together like peas and carrots (said someone, someday) and Viticulture combines these things to create a complex but extremely rewarding system where players plant and farm their own grapes before developing them into increasingly valuable vintage wines. Ravage — If you’re an orc sympathiser and you’ve had enough of hunting and slaying those innocent green-skins, perhaps you’d like to turn the tables with a game of Ravage? In this modular dungeon crawler, players take control of one or more orcs as they attempt to complete one of the pre-generated missions. Competitive and cooperative modes really add replay value, whilst an upcoming expansion will extend the life of this gorgeous game even further. 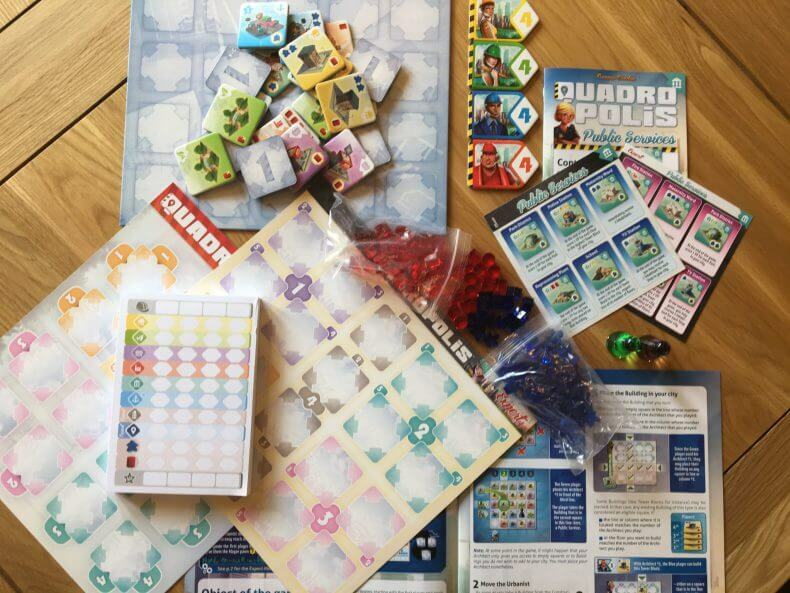 Roll Player — If you’re ever looking for an example of innovation in tabletop games, look no further — Roll Player ‘gamifies’ the actual creation of a character across the course of about an hour. A fun mix of strategy and luck make it a great game to pick up and play, whilst fantastic components make it appealing to the eye. Azul — Whilst Azul’s theme is nothing to do with the average gem-dropping game, there are similarities in the need to make patterns to score maximum points. Azul is one of the most attractive and straightforward board games of the past few years and it’s a fantastic place to start your collection. Majesty — With the look and feel of a mobile-phone wargame, Majesty couldn’t be simpler to pick up and play, thanks to beautiful cards and heavy chips that feel as if they are straight out of a casino. 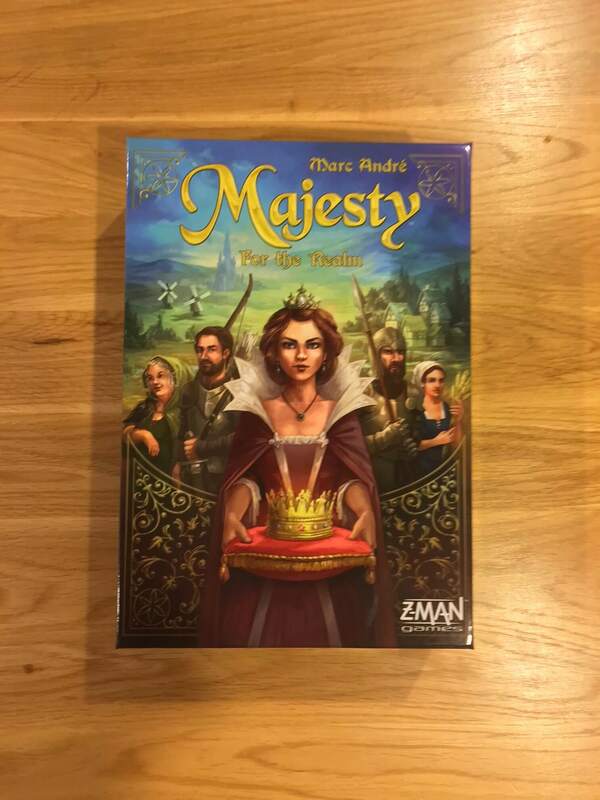 Majesty is a fantastic way to introduce your friends to the intricate scoring of more advanced tabletop gaming, but with none of the barriers to entry. And there we have it. Whilst I think I could recommend board games that have videogame links or themes all day, I hope there is something here for everyone. Whenever we select a board or card game for review on Big Boss Battle, we always focus on games that have a clear linkage to our audience, so we hope you’ve enjoyed this piece. Please don’t forget to check back every day this week for a brand new tabletop review.